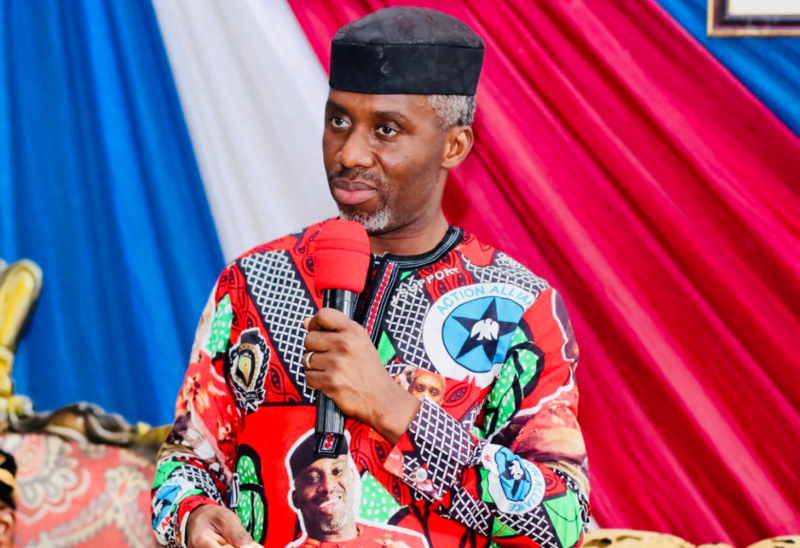 Imo State Election Tribunal has granted Uche Nwosu, governorship candidate of Action Alliance (AA), leave to access the materials used during the governorship election on March 9, 2019. The Independent National Electoral Commission (INEC) had declared Emeka Ihedioha of the Peoples Democratic Party winner of the election with 273,404 votes over Uche Nwosu, who polled 190,364 votes. Nwosu, the son-in-law of Rochas Okorocha, Governor of the state, approached the tribunal, claiming the PDP candidate did not meet the constitutional requirements. At the hearing on Wedneday, the panel ordered INEC to permit Nwosu to check every copy of the electoral materials, including the voter register and ballot papers. The tribunal also granted Nwosu leave to inspect “Forms EC8A, EC8B, EC8C, EC8D, EC8E, EC 17A, EC 25A, EC 25B, EC 40A, EC 40G, EC 40H; all the incident forms filed by voters in all the polling units in the election; the list of permanent voter cards collected and used in the election; all the card readers used in the election; data of accredited voters as captured by all the smart card readers deployed during the 9th March, 2019 governorship election conducted in all the polling units in Imo State, sorted out into Local Governments, Wards, Polling Units and voting points; record of ballot paper allocation to all the polling units in the election; the list of all presiding officers for all the units in the election”. Nwosu’s access also extends to “INEC manual and guidelines; the list of the polling agents submitted to INEC by all the political parties and every other electoral material used in the conduct of the election for the purpose of instituting, maintaining and prosecuting the petition and for the purpose of presenting same at the trial”.